Recently Gamevil announced that physics-based puzzle game Toy Shot is now available on the App Store! The title is developed by Appnori and published by Gamevil through its Partner Fund. Featuring unique visuals reminiscent of beloved childhood toys, Toy Shot features over 100 distinct levels of casual yet brain-tickling physics-based puzzles. As a knight equipped with boomerangs, crossbows and more, players will aim to break the walls of the Undead Warriors guarding their block castles. By collecting gems across each level, players can progress further to rescue the kidnapped princess. When boss-size enemies get in the way, only skilled aim and smart puzzle-solving will be able to defeat them. Defense levels present an additional challenge, as players will have to hold their position against invading toy soldiers. Players also have the command of a fearsome thunder dragon to summon when they are in a pinch. 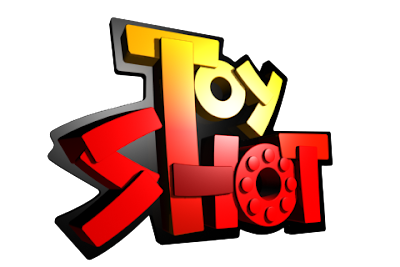 As blocks break and fall, or when flinging dart missiles and setting off bombs, the realistic physics of Toy Shot makes for a natural and fun touchscreen gameplay experience. Toy Shot is available now for $0.99 USD from the App Store on iPhone, iPod touch and iPad, or at http://itunes.apple.com/us/app/toy-shot/id481164990?ls=1&mt=8.